We are all looking for evidence and knowledge that points to the ultimate meaning of life. And the purpose of this note is to suggest that the Catholic Saints hold the key (or should I say a key) to unlocking and discovering the meaning of life. Indeed, the more we study the lives of the saints, the more we will discover the meaning of life. This interest in the saints “is not an interest of mere pious curiosity. It is inspired by the growing realization that the saints, and the saints alone, have found what all other men are vainly seeking – a real life. It is beginning to dawn on the intelligence of those who are sincerely searching for the truth and who, with unprejudiced minds, are seeking for a solution to the problem of existence that the real men and women are the saints and it is only they who know what life is” (The Holy Spirit, p. 11, Father Edward Leen). Take, as one example, Father Solanus Casey, who lived and worked for many years in Detroit as the door-keeper at Saint Bonaventure’s (not very far from where I am writing this note). Although he is presently only “Venerable,” this Capuchin priest who died in 1957, and will be beatified on November 18 of this year, was deeply initiated into the true meaning of life. As a consequence of this initiation he had great confidence in God and a profound love for the poor and sick. A number of books have been written about his ministry to the sick (who would come to see him at St. Bonaventure’s where he was a simple porter) and the many healing miracles attributed to him (from which he got the reputation as a miracle worker). His simple life touched the lives of so many people seeking hope, healing and encouragement, and continues to do so. I have personally sought his intercession at the site of his tomb in the Solanus Casey Center in Detroit, and I know many other people who have done likewise (see solanuscenter.org). 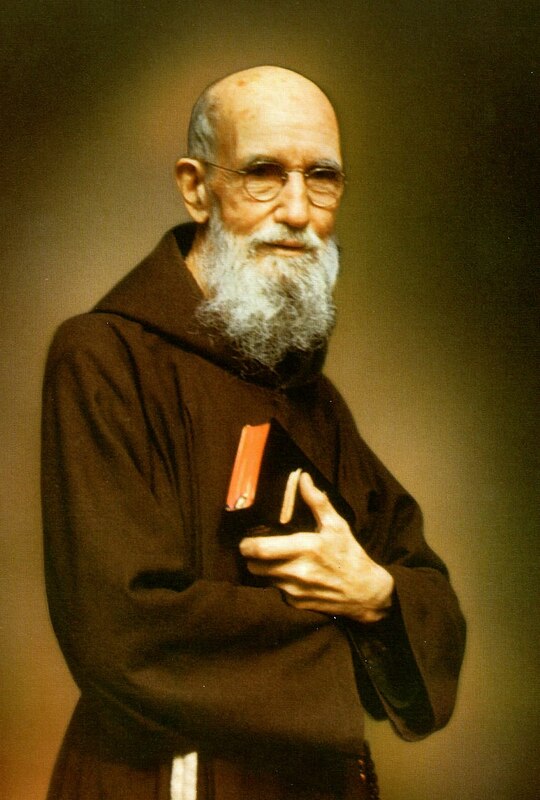 Father Solanus, pictured above, is one example of how a “Saint” shows to us the true meaning of life. And in more recent times we have the Eucharistic prodigy involving Blessed Alexandrina da Costa. Her life was one of expiatory suffering and was intimately tied to the Passion of Jesus. She lived exclusively on the Eucharist for 13 years and was beatified by Pope John Paul II on April 26, 2004, now himself a Saint! To understand the incredible magnitude of this Eucharistic miracle, consider for a moment that a human being would be lucky to survive even one week without water. She died in 1955. The manner in which she predicted the supernatural decomposition of her body was observed to have occurred, and no doubt this sped up the process of her rapid beatification. If you are looking for truth, the life of Blessed Alexandrina da Costa says look to the Eucharist! A great spiritual writer, Father John G. Arintero, tells us that “one saint is sufficient to illumine a century.” And in our present times how many of us were greatly influenced – and even returned to the Catholic faith – because of the illuminating life of Saint Pope John Paul “the Great.” It is not possible in this short note to relate how this priest, pastor, philosopher and Pope, not to mention mystic and theologian, profoundly influenced the course of the Church and world events for the better. But his impact and holiness were so huge that he has already been canonized a Saint, and there is little doubt that his encyclicals and other papal writings will greatly guide the church for years and decades to come. And what does this saint tell us? : he tells us that a major turning point in his life, in his growth in holiness, was the consecration of his life to the Virgin Mary. And Saint Mother Teresa, canonized by Pope Francis on September 4, 2016, also had a huge impact on the world through her devotion to the poor. And, like Saint Pope John Paul II, she made and greatly valued the DeMontfort consecration to the Blessed Virgin Mary. Additionally, she placed a high priority on the Eucharist and Eucharistic adoration. She was always seen carrying a rosary. An excellent book which sets forth the nature of her mystical life, and the communications she received from Jesus and Mary, is Come Be My Light by Father Brian Kolodiejcchuk. Can we not see that the lives of the saints, with all their supernatural manifestations of grace, show us what truth really is and WHO truth really is? The Saints are so many mirrors reflecting the life of Jesus Christ. And Jesus Christ is the Way, the Truth, and the Life (John 14:6). 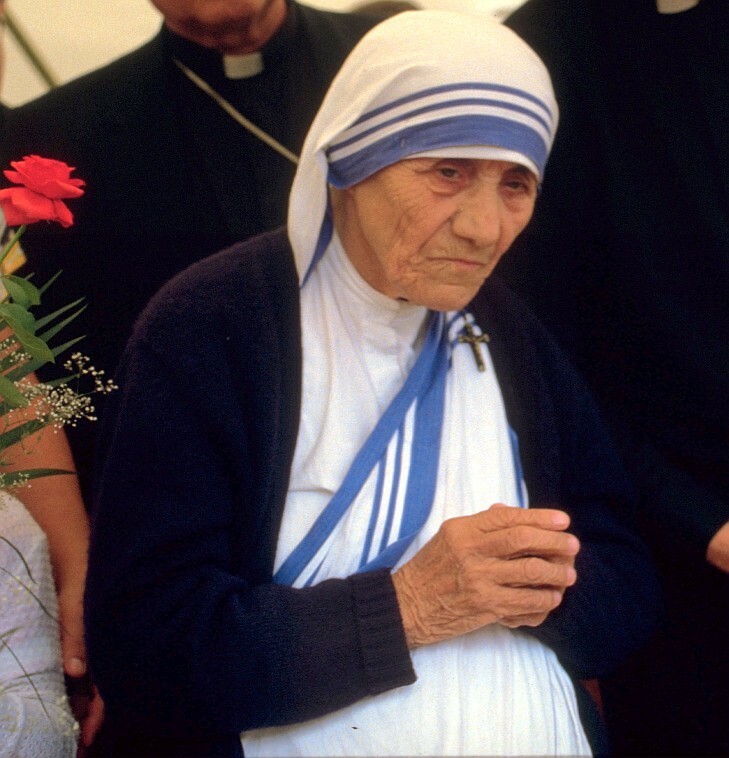 Photo Attribution: The photo of Mother Teresa is by Turelio, July 13, 1986 under a Creative Commons Attribution-Share Alike 2.0 Germany license (found at Wikipedia). The photo or drawing of Father Solanus Casey is by photographer Mohatma Gandhi under the Creative Commons Attribution-Share Alike 3.0 Unported license (at Wikipedia). References: The Holy Spirit by Father Edward Leen; Saint John Paul the Great by Jason Evert (see quote by Cardinal George on back cover); Nothing Short of a Miracle by Patricia Treece; Alexandrina: The Agony and the Glory by Francis Johnston; The Mystical Evolution by Father John G. Arintero; The Little Catechism of the Cure of Ars (TAN); and Dictionary of Saints by John Delaney.